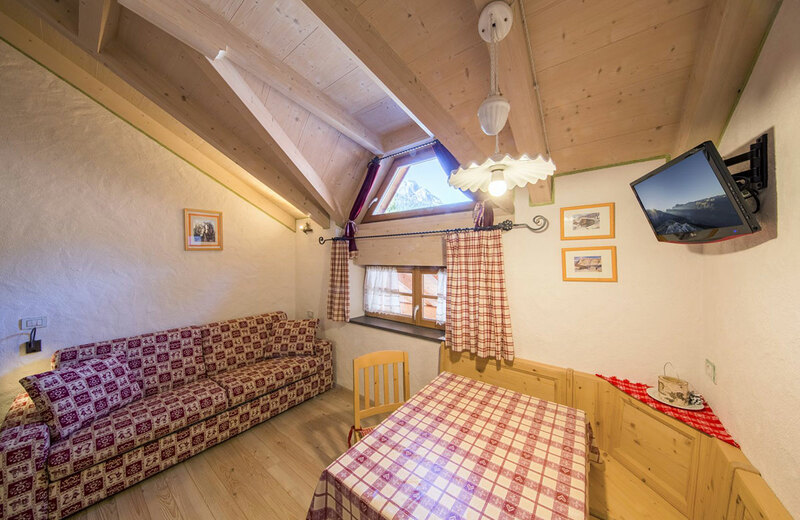 In camping park Catinaccio Rosengarten you can stay in new comfortable studios built with high-quality biocompatible materials and with Alpine-style furniture. 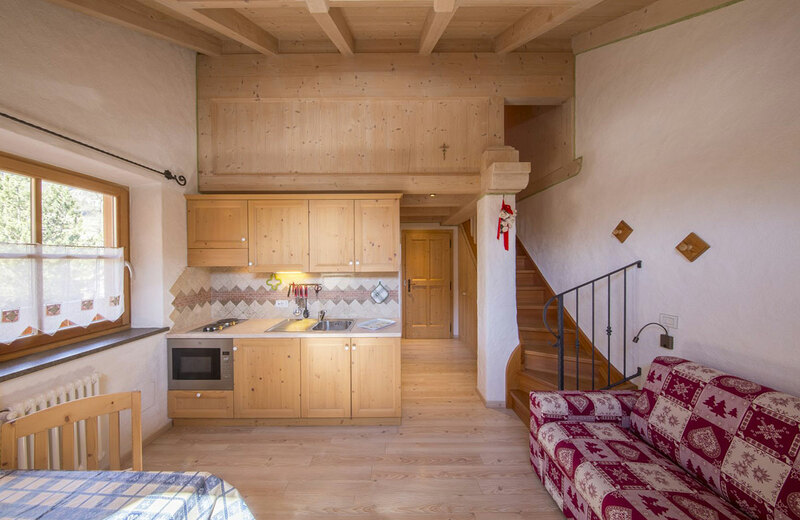 furniture and materials were built with wood from Alto Adige with a high green index and they were processed respecting their original environments. The apartments can be reached through the stairs or the lift. 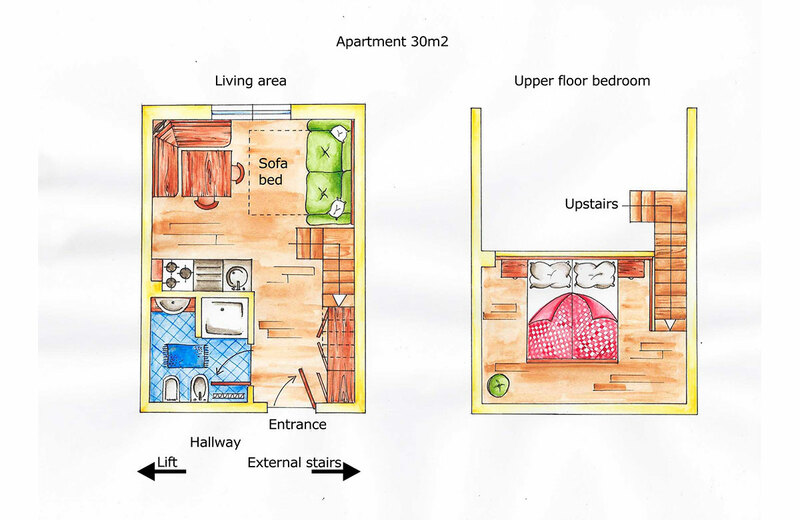 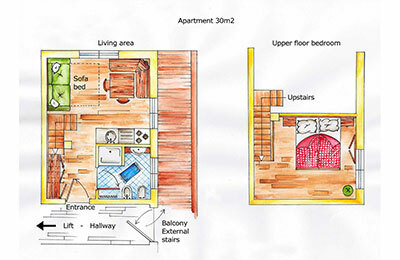 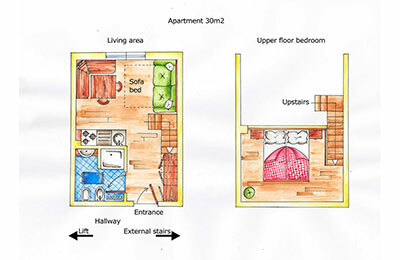 Four 30-square-metre studios for up to four people and two 27-square-metre studios (for max 2 and 3 people) are available. 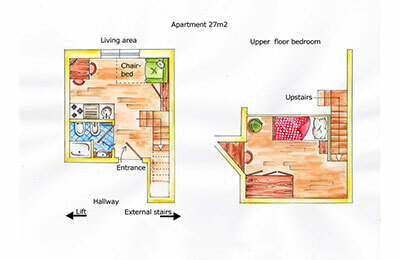 All studios are developed on two floors. 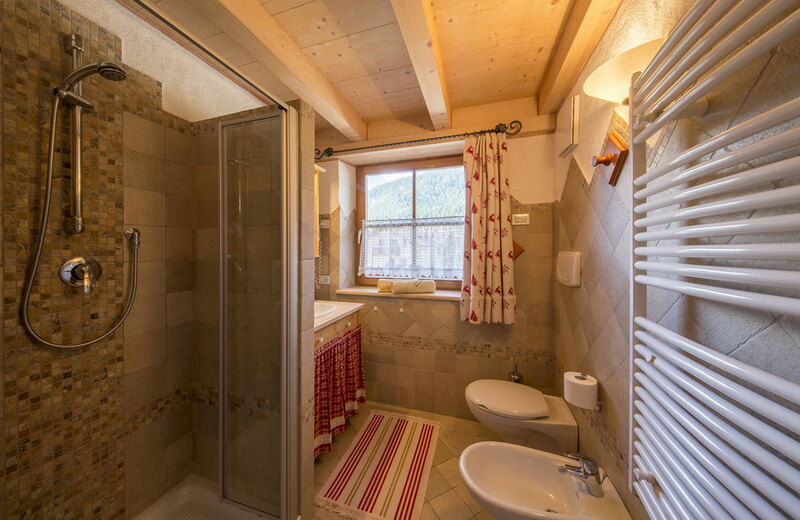 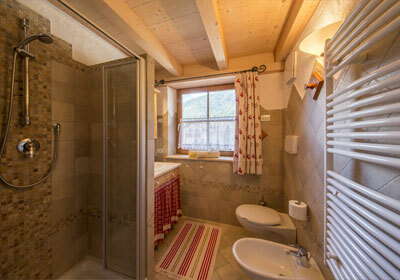 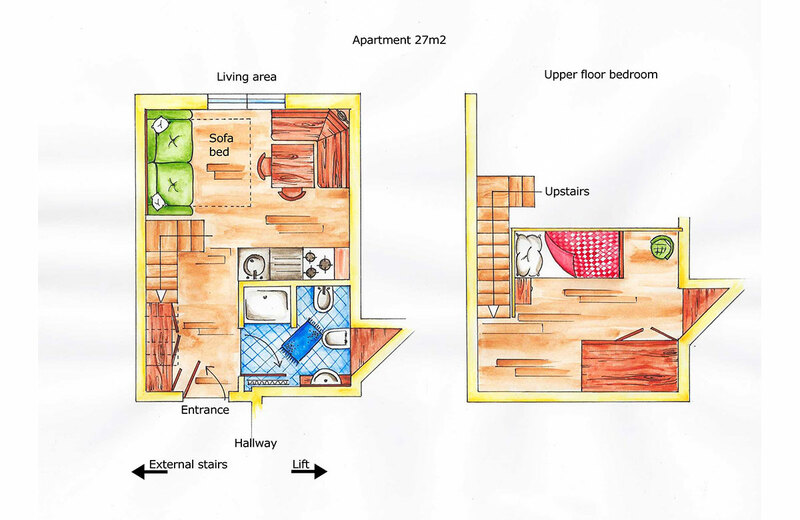 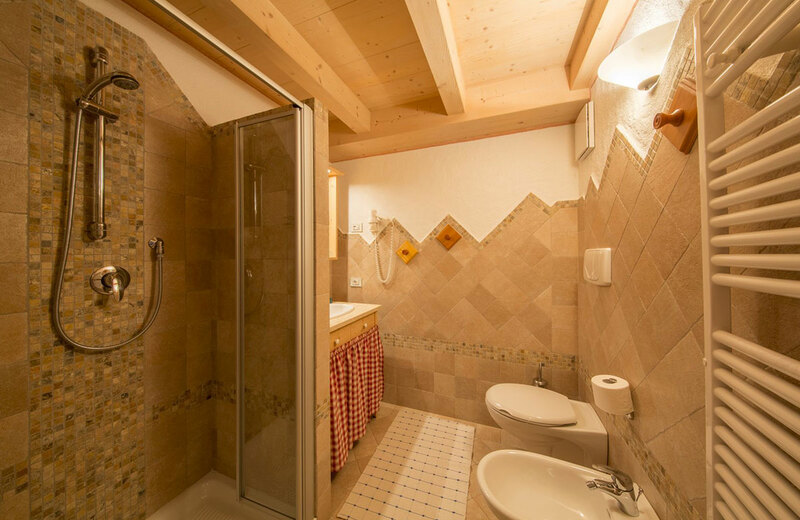 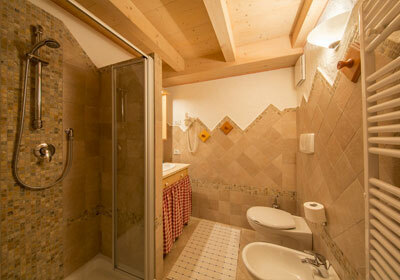 On the “Ground floor” is the living area with a bathroom (with shower, hair-dryer, sink, bidet, WC, towel warmers), a kitchen (with microwaves, fridge, hot plates, table with a corner bench typical of South Tirol, wardrobe and sofa bed for two people). 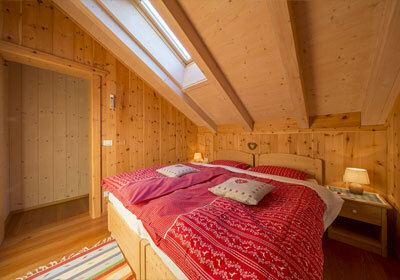 The sleeping area is on a mezzanine -with separable beds- made of all-wood larch and cembran pine. 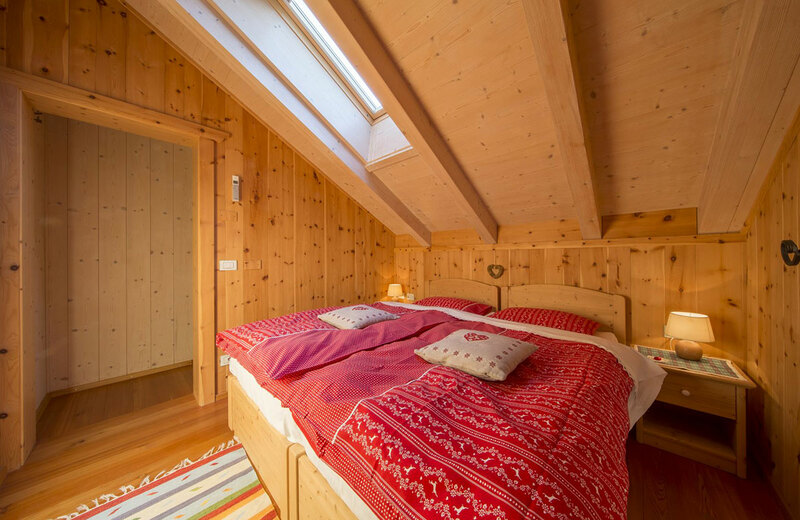 Cembran pine is a healthy wood as it favours sleep thanks to its balsamic and relaxing proprieties. 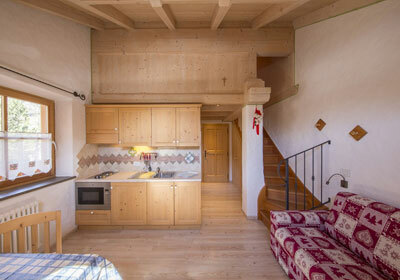 The whole furniture of the studios is all-wood.